The plan to build an appropriate memorial for the renowned poet Kumaran Asan was announced during the birth anniversary celebrations of Asan held in the year 1958. 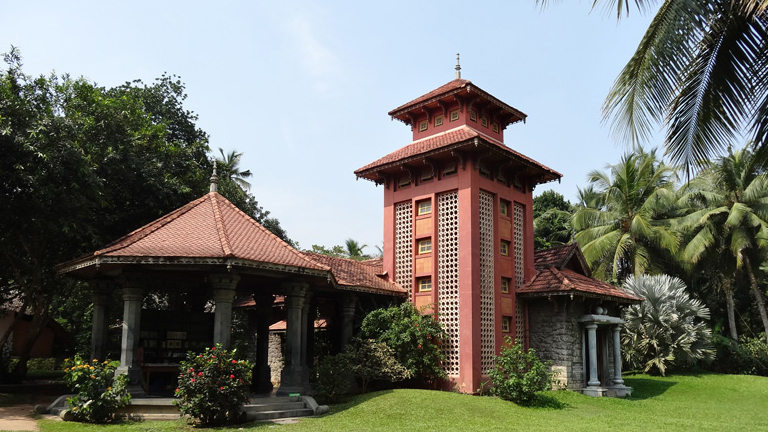 In Kerala, it was the very first event of government taking over the house of a poet to build a memorial. The Asan Museum exhibits manuscripts of almost all the works of poet, diaries where he recorded daily thoughts and notes in English, as well as correspondence with various people. The State Archives Department took the necessary steps for the preservation of these books. There is also a precious notebook that was found along with the body of the poet who drowned in River Pallana, a victim of the ‘Redeemer Tragedy’. The showcased note book in which the poet had penned Karuna, has pages that were once soaked through with water, leaving the ink of the beautiful lines smeared across the paper. A silk shawl and a gold bangle presented by the Prince of Wales in honour of the poet are also there among the exhibits. Asia’s largest museum of mural art is situated here. The museum showcases paintings based on poems of Asan, viz. Veenapoovu, Leela, Chinthavishtayaya Seetha, Chandalabhikshuki, Duravastha and Karunad. In addition to the authentic editions of Asan’s works, the Publication Division has also brought out a biography of the poet, and a three-volume compilation of his essays, collected from the various magazines where they appeared. To know more about the Asan Memorial click here.